This town centre hotel has something for everyone, luxury accommodation complemented by fine dining, extensive leisure facilities and friendly professional staff. 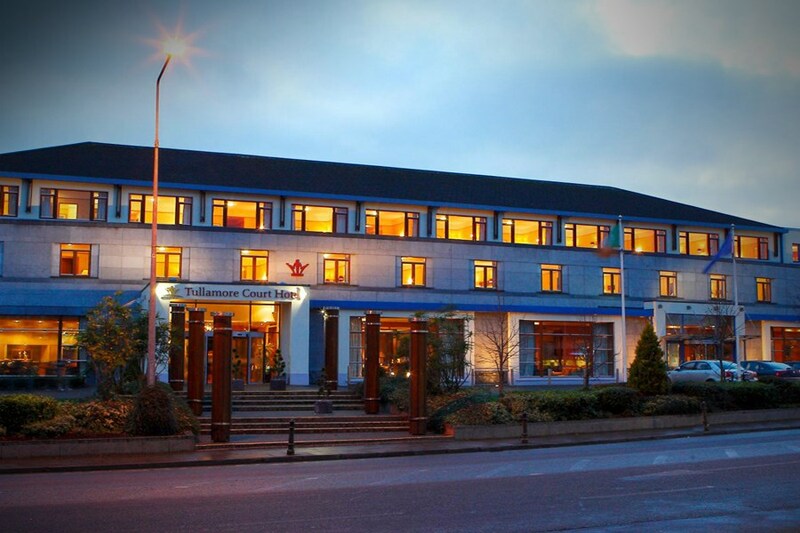 The Tullamore Court Hotel is the perfect choice for a family holiday or weekend break. The Tullamore Court Hotel in County Offaly is situated on O Moore St. on the Portlaoise road. It is a 5 minute walk to the town centre and situated only a 5 minute walk from the Tullamore train station. The central location in Tullamore town centre makes it the ideal venue of choice. a very nice hotel, just a short walk into town, friendly staff, good breakfast, clean rooms. Spent two nights here recently, Very helpful staff, nice spacious rooms 2 adults 2 teens, swimming pool and gym. food was excellent and location was great, just a short walk into the town centre, would recommend it to others and definitely visit again. Very nice hotel in a good central location. Two night stay in an executive room. Plenty of space for two adults and two children. Nice touches in room e.g. speakers in the bathroom linked to the sound system, walk in shower, Jacuzzi bath etc. Staff very friendly and breakfast buffet had a great selection. Lovely hotel with lovely staff. Food in the Bistro was excellent. Great location, just a stroll into town. Greeted by 2 very friendly receptionists. Very happy with our overnight stay we enjoyed a beautiful breakfast in bed after a brilliant party night downstairs the night before well done!! Excellent hotel , the staff are extremely friendly and helpful . Would recommend it to anyone. Good food and drink and not overly expensive. Very good. Lovely hotel with great staff. Bar food delicious, rooms spotless, nice decor. Definitely one to return to. We have stayed at this hotel on a few previous occasions and have enjoyed the experience, this time we only stayed one night which was St Patrick's day/night, again we enjoyed our stay, the only negative was there was no entertainment , as it was St Patrick's night. No complaints great value, had a lovely time. Had a great stay .staff were very attentive and friendly. Food was to a very high standard. Fabulous atmosphere. 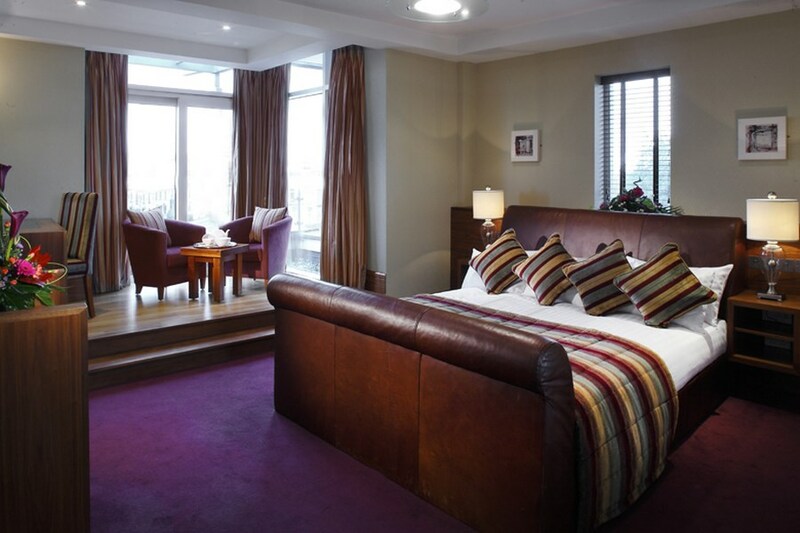 We enjoyed our stay at Tullamore Court Hotel as we did on previous occasion and would recommend it. Staff very professional and friendly from Reception,Restaurant,Bar,Household. Room facilities good standard and cleanliness excellent, Breakfast very good menu in Bistro could be more varied. We were really impressed with the stay at the hotel. The facilities and staff were excellent and could not fault anything. Would recommend it. Highly recommend this hotel. ..great food and staff so friendly and helpful. Had best back message ever in Elma's ...would definitely stay again. The Hotel was in a good location just a few minutes from town centre. Our room was very spacious modern and clean. The staff were very friendly and helpful. we were made feel very welcome on our arrival. Breakfast was excellent. Everything was covered from continental to a full Irish. We would definitely stay there again. A very good hotel. Their Leisure Facilities are excellent. Kids are allowed in the pool up to 8pm which is great. Staff were really helpful and attentive. Its a great location at the top of the town, only an hour drive from Dublin, you can easily park up your car and walk to the town. There is a lovely play park around the corner. Tullamore is also served well by trains and Bus Eireann and a private bus service also. Definitely recommend it for a relaxing break. Great location for a weekend break, excellent leisure facilities and really enjoyed the food! The hotel staff were wonderful, couldn't do enough to help. We enjoyed our meal, the swimming pool was great and the room was as expected. Tip for reservations though: don't put a family with small kiddies beside the elevator! They hear all the late night revelers and no one gets to sleep! An enjoyable stay. The hotel was very clean and welcoming and the pool was top class. We only had lunch in the bar, but the food was good although there was a lack of variety. Any issues we had - we stayed the day of the Kilkenny-Galway reply - such as noise, were dealt with quickly by the hotel. Breakfast was very good, with plenty of fresh food and great variety. The location was also ideal. I would recommend this hotel. We really enjoyed our stay in Tullamore Court Hotel. All the staff were very helpful and pleasant to deal with, especially the reception and the staff on breakfast duty. We had dinner in the bar which was excellent and a great choice on the menu. 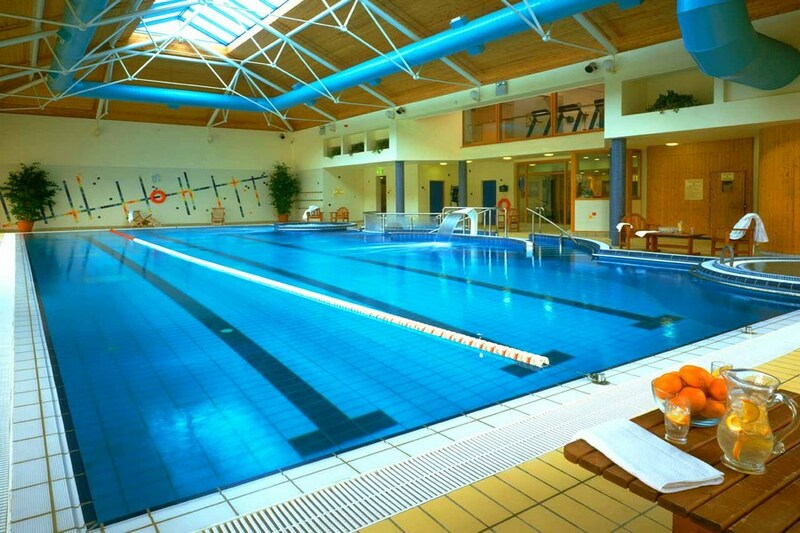 The leisure facilities also excellent and pool facilities very clean. One small point which I mentioned to the pool attendant. The water jets in the pool are very powerful. We were entertaining ourselves getting back massages! however we noticed later that going close to the jets for any length of time damaged the lycra in our swimsuits leaving noticeable faded patches. 2 adults, 2 children we had a great stay. Bar food for evening meal was delicious. Rooms very nice. Kids loved Jacuzzi! Breakfast beautiful and service excellent. Our only complaint was the rooms were far too hot but the weather is so good right now - I cant really blame the hotel. We will definitely be going back. Loved it. Friendly staff. Bar food was very appetizing. A good choice. Room clean and decorated well. Leisure Centre excellent . Music in bar was not too loud. Will definitely go back to this hotel. stayed at the hotel on a saturday night, staff very friendly. rooms very clean and ready when we checked in. late night bar and central to town and shops. great leisure centre with pool. Stayed here midweek, myself and my Husband. We were attanding Andrew Maxwell so who was on in the Hotel. The hotel itself is lovely, nice and clean and it was nice to have a small beauty Parlor. We found all the staff to be very helpful and friendly too. The big downside to this hotel and to me is the deal breaker is the very poor quality of the Food. I have to say we found the food terrible. The restaurant was closed the night we were there so we had to eat in the lounge which just serves the usual fare that they serve every where else. My husband hard GArlic mushrooms which lacked any garlic taste and he had to smother in salt just to give it any flvour. For mains we both had the Fish and chips which on the Menu states fresh cod and HOME cut fries. Well it was far from fresh fish and the chips were terrible frozen/chilled chips and the biggest insult was the mushy peas which were proccessed tinned peas. We didnt ebven eat it and rather then ask us why the waiter just took our plates no questions asked. My husband was very irate as he is a chef and couldnt belive so called chef would be happy to serve up this food and wanted to complain but i wasked him not to make a scene. Its such a shame as i said the hotel itself is really nice so if they could up there game in the food end this would be worthy of the 4 satrs it states to be.. Without going into further detail the cooked breakfast was also terrible, so much so that we couldnt eat it. I mean i dont mind sinmple food if its done well but to our minds no pride or care is taken in the food served here so for that reason i wouldnt return to this particular hotel as for me food qaulity is of utmost importance during a hotel stay..
Hotel is a little tired and in need of some TLC in places. Overall a nice hotel, staff are very friendly and helpful. Bar was a bit pricey but bar food was nice (more restaurant food than bar food). Our room was on the first floor which we found very noisey. When we mentioned this to Rebecca on the morning we were checking out she asked for the manager to speak to us who was very apologetic and understanding and made a reduction to out bill. We would definitely stay again.